AidCurrent artist Matt Beard painted this piece at Trinidad School's Surf and Skate Fest to benefit the kids' surf and skate clubs. He began this piece by organizing a revolving group of skateboarding dads to skate past his paint mixing area and grab a brush with a fresh of load of newly mixed paint and skate past the canvas dragging the brush across its surface as one may drag a hand across a wave's face, then complete the loop back to his paint mixing area and hand off the used brush to receive another with a fresh load of paint. The cycle worked well and once a rhythm was established, 20 or 30 passes happened in a flash, with only one minor mishap when a wheel hit a rock and one dad ended up getting a close up view of the school's black top. He brushed it off and continued on, but throngs of kids came rushing in to take their turn with the brush and the whole thing lost its rhythm as quickly as it had been gained. 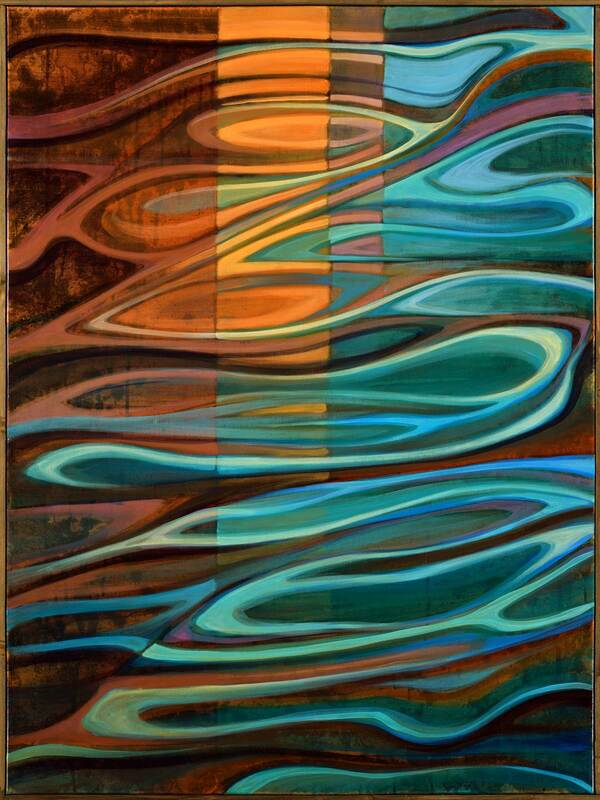 Those first strokes became the Architecture of Flow for this piece. AidCurrent artist Matt Beard has made several of his Limited Edition Canvas Prints available for purchase from the Trinidad School allowing the school to retain a gallery-level 40% commission from each sale. 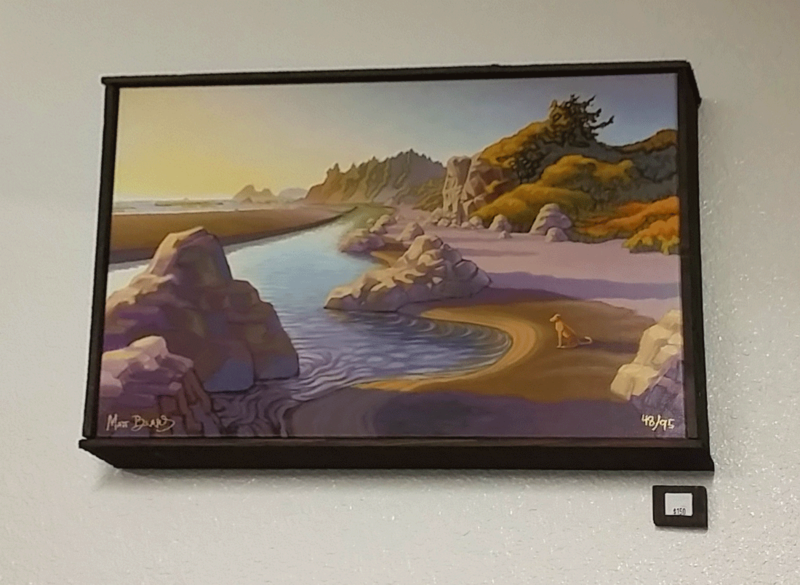 "Well, I figure that if a gallery earns their commission by connecting the artist with buyers, then how much radder is it when a school's office can do the same thing? Stoked to support." 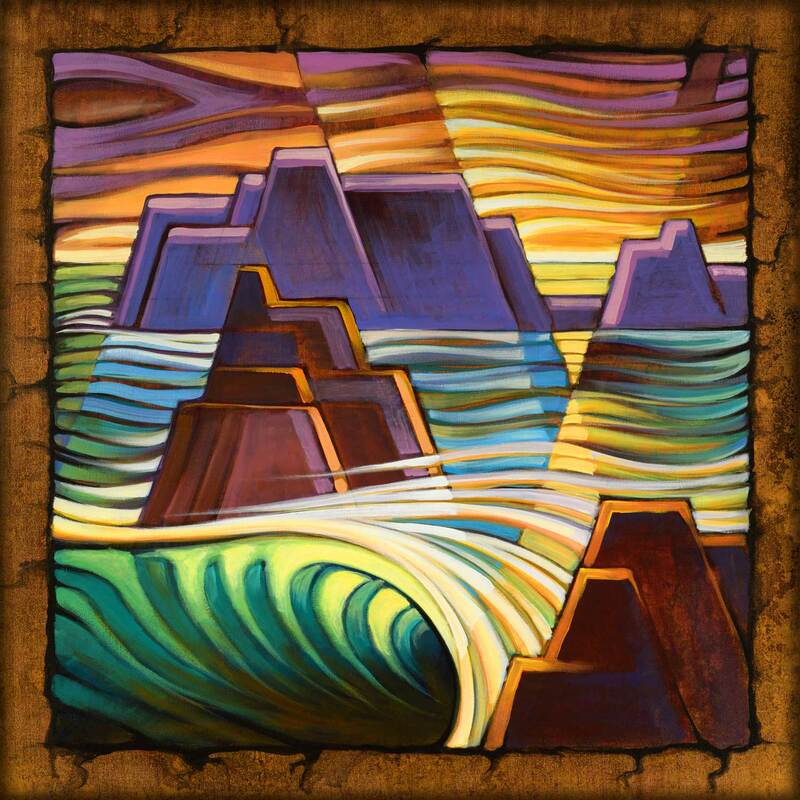 AidCurrent artist Matt Beard painted this piece titled "Convergence" on February 9, 2015 at the Trinidad Town Hall during a fundraising event for Trinidad School's art and music programs. $450 from the final sale went to the cause.